“No industry is exempt from cycling through boom and bust periods. It’s a staple of capitalist economies and, frankly, an inevitability given the interconnectedness of the digital world. Even the most tightly managed and vertically integrated companies are subject to consequences from outside forces beyond their control. Perpetual growth is an impossible illusion, and if anything, contraction is more of a guarantee than expansion. 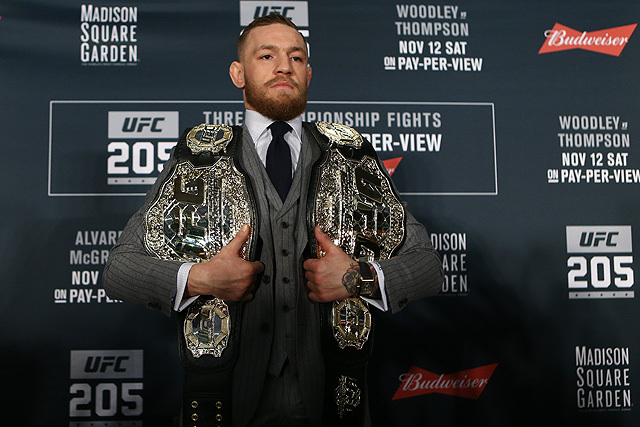 There’s no question that this has been a down year so far for the Ultimate Fighting Championship. The four pay-per-view cards of 2017 have all, to varying degrees, failed to make a blip on the wider sports radar outside of MMA diehards. The trend seems to be swinging upward, with UFC 211 being the most successful event so far; and there are some solid events lined up for the next few pay-per-views. A lot will be riding on their success. “The Ultimate Fighting Championship’s fourth pay-per-view event of 2017 was without question its best yet. The prelims were mostly exciting, resulting in a rare “Fight of the Night” bonus going to an undercard bout, and the main card was composed entirely of fights relevant to the top of their respective divisions — an increasingly noteworthy occurrence in this WMG-IME era of ownership. Compare that to any of the previous events, each of which with one or two meaningful fights per main card, and the matchmaking behind UFC 211 becomes a legitimate achievement. “Nostalgia is one of the traits that make humans unique in the world. It’s hard to know if other animals ever feel nostalgic, since it’s not exactly visually readable like anger, sadness or fear. It’s likely that even emotionally and cognitively advanced animals cannot reminisce, as nostalgia is really an offshoot of — or perhaps an intersection for — imagination and emotion. It requires us to imagine the past to stir up similar feelings we once had. Whether nostalgia is part of the evolutionary development of remembering or if it hints at something larger, like the existence of a soul, it is a potent and uniquely human experience. This weekend was especially fixed on the rearview. It marked the 25th anniversary of the 1992 Los Angeles Riots, as well as the 100th day of Donald Trump’s presidency. All manners of punditry were employed to construct meaningful, coherent narratives about both of them to see if the distance of time has brought about new understanding. Combat sports also had some acute fits of nostalgia over the weekend. Anthony Joshua notched his 19th straight knockout in the biggest fight of his career against Wladimir Klitschko, immediately drawing comparisons to greats of old, from Lennox Lewis and Mike Tyson to Joe Louis. Perhaps it was a result of the absence of any major fight cards this week or the next, but the MMA media was busy looking back, too. 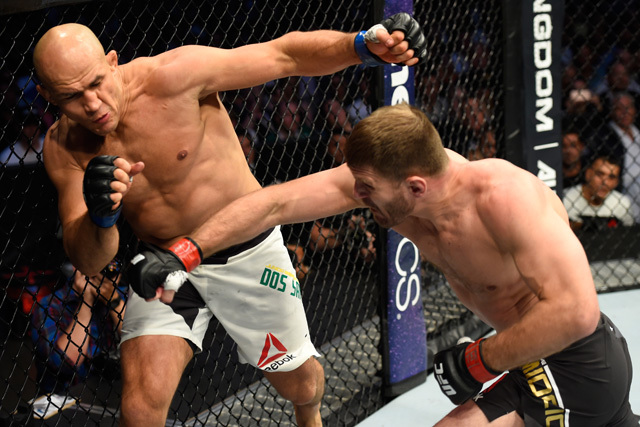 Patrick Wyman of Bleacher Report, Chuck Mindenhall of MMAFighting and our own Jordan Breen each published a retrospective-style piece looking at how different aspects of MMA’s past collides with its present. Some of those collisions are obvious, some not so much.